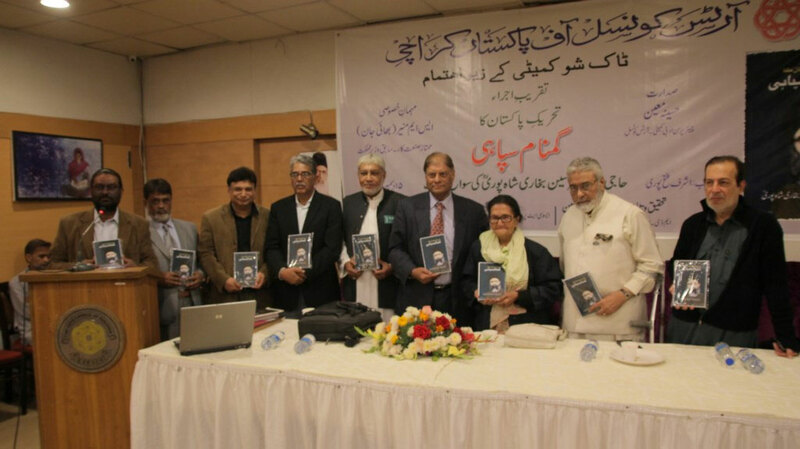 Talk Show Committee of Arts Council of Pakistan Karachi arranged a book launching “Gumnaam Sipahi” a memoir on Haji Syed Sajjad Hussain Shah Bukhari which was based on research of Dr Syed Sajid Hassan who is the grandson of Sajjad Shah Bukhari. The book was compiled by Ashraf Fateh Puri. In this prestigious ceremony Chairman Tehreek Janisaraan-e-Pakistan (TJP) Qaiser Shafi Ullah was the chief guest while Dr Aalia Imam presided over the ceremony. Mansoor Sahir conducted the ceremony very beautifully. Dr Sajid Hassan who lives in USA, is the first Pakistan Associate Professor of Clinical Nuclear Medicine and Clinical Associate Professor of Radiology. He came to Pakistan to launch this book on his grandfather after a lot of research and efforts to collect facts about Syed Sajjad Shah Bukhari who was very kind, liberal, philanthropist, social worker and dedicated to serve for Pakistan Movement and also was the part of Tehreek-e-Khilafat. Dr Sajid in his detailed presentation with the help of different slides elaborated different phases of his grandfather’s life. Dr Aalia Imam who was presiding over the launching session appreciated the dedication and efforts of Dr Sajid for the compiling this book. Qaiser Shafi, Chairman TJP and the chief guest of this occasion also welcomed this unique book on a true gentleman and a genuine leader of Tehreek-e-Pakistan who served for the people genuinely and without any self-interest. Qaiser Shafi congratulated Dr Sajid for these unique efforts. Syed Sajid Aziz, senior journalist and Joint Secretary and founder member of Karachi Editors Club who was behind this jampacked successful launching in a short span of time, in his address, disclosed that when he was in USA just before two months back Dr Sajid asked him about his research work on this book and wished to publish the same. He took the responsibility and after returning back Pakistan after a month day and night efforts succeeded to get this historic book published which is an asset to all Pakistanis now. Sajid Aziz congratulated Dr Sajid and lauded his efforts to publish this book. Nuzaira Azam, a Pakistani USA-based renowned journalist, Fiction writer & Chairperson Global Beats surprised her Pakistani journalists and friends by her sudden visit to Karachi during the reported week. This surprise visit of Nuzaira Azam was arranged by Dr Tabinda Azam who is daughter of renowned scholor and banker Dr Aslam Siddique. She has invited Nuzaira from USA for the book launching of translation of the memoir book of Aslam Siddique “Life and Time of a Pakistani Citizen” on Friday December 29, 2017 at the Arts Council of Pakistan. 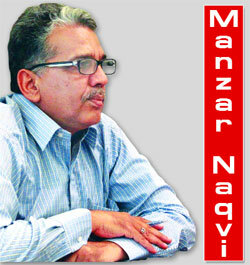 The book has been translated into Urdu by Dr Sher Shah. 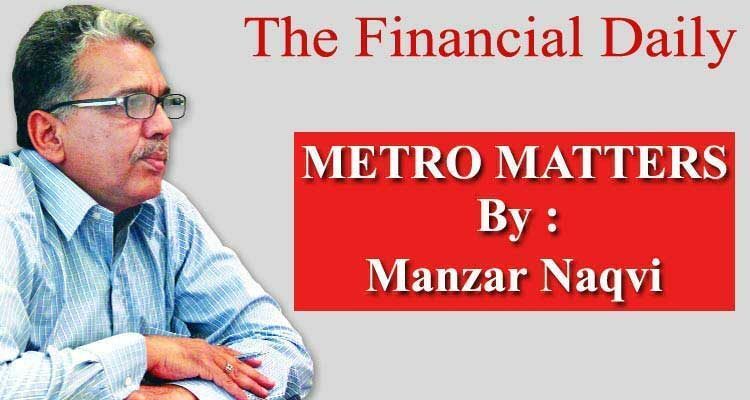 The book launching would be presided by Khawaja Razi Haider, Akhlaq Ahmed will conduct the ceremony while Javed Jabbar, Anwer Maqsood, Dr Sher Shah, Nuzaira Azam and Dr Tabinda Azam will address the ceremony. 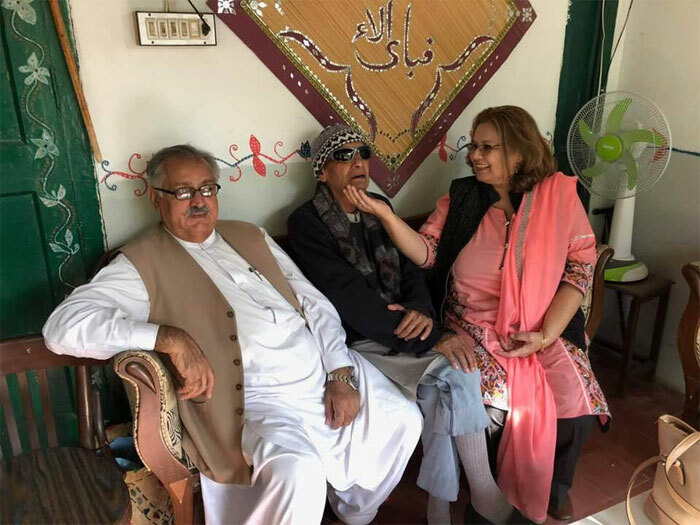 Nuzaira also met her mentor teacher Dr Zakariya Sajid at his residence at Karachi University along with his old friend Abdullah Baloch. She is also busy meeting her other old colleagues and friends. Dolmen Mall is celebrating its 25 years with the biggest winter shopping festival that will last till 7th January. The festival began on 22nd December in all three malls, Clifton, Tariq Road and Hyderi. Winter food Street, flash sales, fashion carnival, beauty lounge, and a lot more are happening there. Celebrities from the showbiz are attending the event and sharing their experiences. Apart from the shopping bazar, there are numerous other activities going on in the malls including lucky draw, live music, and live cooking demonstration. 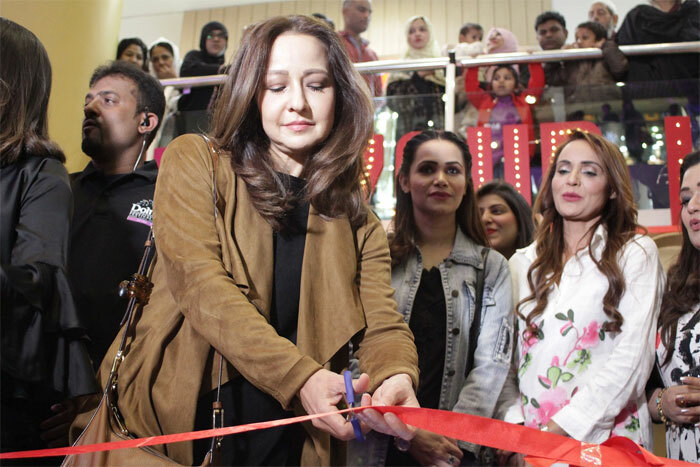 Dolmen shopping festival also marks the 25th anniversary of Dolmen Mall and since it’s a global brand hub, this time they are also promoting and celebrating cultural diversity from around the world. The organizers have planned for months for this festival, to give the best possible experience to the public. One of the organizers said that they are doing it for their customers and they want them to be a part of it. The giveaways include gift vouchers, shopping vouchers and beauty makeovers from renowned beauty gurus. The shoppers can participate in the lucky draw by showing their shopping receipts. 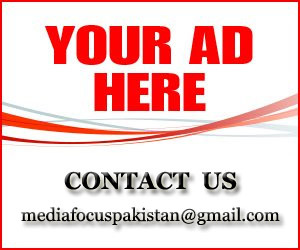 There is a grand prize of Rs 2.5 million, 25 daily prizes and 25 lucky draws. The festival also brings an arts lounge to pay tribute to the founders; various artists painted live including Aftab Zafar. A photography competition is also being held at the mall and Sharmeen Obaid Chionoy exhibited memories of the mass migration during independence.